A recent piece of commentary suggests that the Australia–India ‘strategic relationship’ has been ‘put in the fridge’. In a somewhat glum assessment, the article refers to certain key issues on which these two countries appear to hold significantly divergent views, which ostensibly ‘expose strategic divergences’ in the bilateral relationship. A closer look at these issues, and at the touchstones by which they’re being assessed, is essential to appreciate whether such a conclusion is correct. One of the most significant points of discord between the two countries, the article asserts, is the continued unwillingness on India’s part to allow the Royal Australian Navy to participate in the Malabar series of naval exercises. In the same breath, the article rues recent remarks by the Indian navy chief on the Quad (the informal security dialogue between Australia, India, Japan and the US) as sounding the Last Post on this regional grouping. 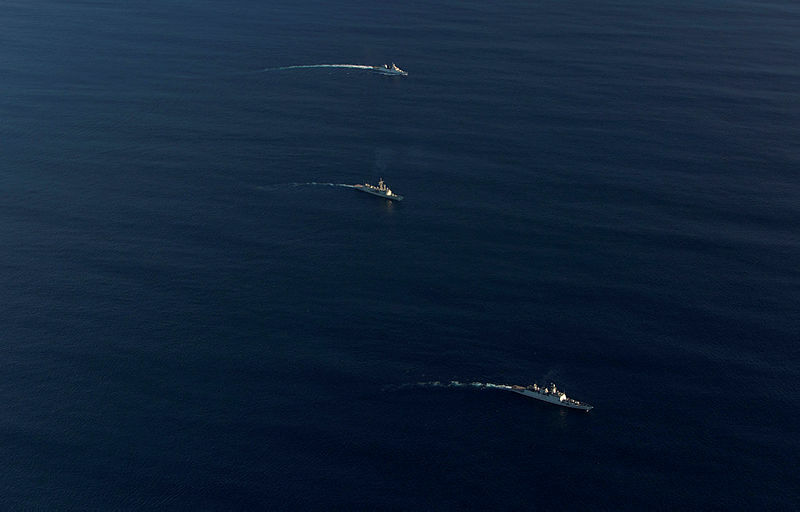 The instinctive connection drawn between multilateral naval exercises and its effect on a tentative regional grouping may provide an insight into the cause of divergence on this issue. In May 2007, diplomats from these four countries met informally on the sidelines of the ASEAN Regional Forum in Manila, giving birth to the term ‘Quad’. 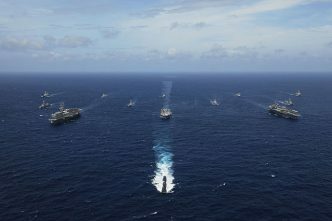 In September of the same year, Australia, Singapore and Japan joined the Malabar naval exercises, which had hitherto been a bilateral exercise between the Indian and US navies. While the informal meeting between the diplomats of these countries had drawn a somewhat routine and muted démarche from China, this apparent manifestation of the Quad into a military grouping invited China’s full diplomatic wrath. Whether the timing of the naval exercise was planned or accidental, it unwittingly lent a military image to the grouping, which at that stage was more of an interest group and far from being an alliance of any kind. The Quad seems to be waking up gradually after its sudden demise in 2008. 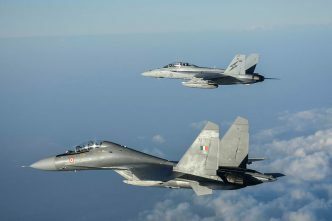 Arguably, in order to avoid conflation of the Quad yet again with a military alliance, India is being overly cautious in denying Australia a place in the Malabar exercise. An intense focus on the Australian participation (or lack of it) in Malabar detracts from some substantive headway being made in the bilateral interaction between the Indian and Australian navies. The third edition of the biennial AUSINDEX naval exercises is currently underway in the Bay of Bengal, with the largest Australian contingent for an exercise in these waters. The complexity of the exercises has also been enhanced, with an unprecedented focus on anti-submarine warfare. Underestimating the significance of this growing naval engagement, especially by comparing it to the Malabar exercise—a robust mechanism between Indian and US navies that has existed since 1992—is probably not reasonable. The article also draws on apparent dissonance between Australia and India in the formulation of the Indo-Pacific strategic construct. 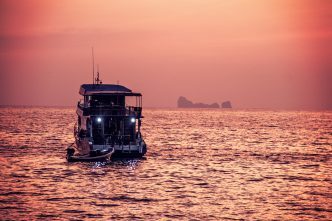 The statement that the ‘Indo’ in Indo-Pacific is a mere attachment of India to Australia’s area of interest appears as an assumption without concrete basis. While the fact remains that both the Indian and Pacific Oceans vary in relative importance in Delhi and Canberra, the hyphenation is here to stay. The exact geographic contours of this construct may also differ between countries, but it has undeniable utility as a reference for framing strategic concerns in an interconnected world, dependent heavily on the free flow of trade, between and within the Indian and Pacific Oceans. There is also little doubt that countries differ in the manner in which they interpret the ‘rules-based order’, especially on the question of whose rules that order is based on. But the fact that there’s near consensus on identifying the predominant threat to good order in the Indo-Pacific needs to be acknowledged. There are other aspects that need to be considered while evaluating the bilateral relationship between Australia and India. The fact that both countries are democracies affords the positive narrative of shared values, but also makes them vulnerable to electoral cycles. The Australian political environment has been particularly volatile for many years now, probably causing a degree of uncertainty in Delhi on the best way to approach Canberra in a relationship that has remained lukewarm in the best of times. Both countries head for elections within the next two months, with a change of government that seems likely in one, and possible in the other. 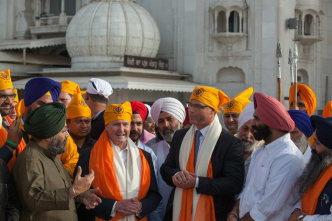 Despite these attenuating circumstances, the fact remains that relations between the political leadership of Australia and India have never been better. 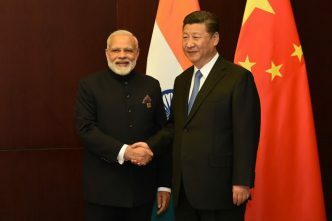 There is no doubt that Australia–India bilateral relations are significantly hindered by a combination of historical baggage, geopolitical uncertainty, suspicion and scepticism. But there has been progress that is unremarkable in its speed, yet commendable in the circumstances in which it has accrued. A key factor in all this is India’s naval diplomacy, which has a track record of consistency and resilience not seen in other facets of its national power. This is amply evidenced by the manner in which the Indian Navy built upon its engagement with the US Navy through some very turbulent times, defining the contours of what is today a significant strategic partnership. In the context of Australia and India, it may be prudent to temper expectations, and acknowledge the small yet notable waypoints along this long, at times implausible voyage. Prakash Gopal is a former Indian naval officer and is a PhD candidate at the University of Wollongong. Image courtesy of the Department of Defence.